Jim Bob Cooter was promoted to offensive coordinator by the Lions this week. 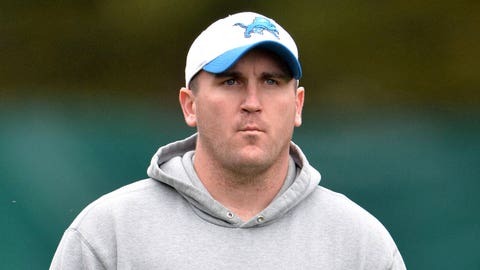 Jim Bob Cooter was promoted earlier this week by the Detroit Lions from quarterbacks coach to offensive coordinator after previous coordinator Joe Lombardi was let go following the team’s 1-6 start. 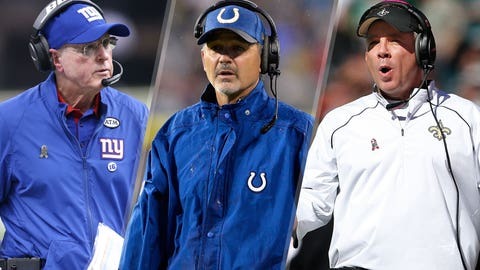 But with Cooter’s promotion has come some controversy after the Detroit Free Press reported Saturday that the records from Cooter’s two arrests in Knoxville, Tenn., during his time as an assistant with the Colts have disappeared. According to the Free Press, Knoxville Police spokesman Darrell DeBrusk said the records were no longer in the department’s files. “What I may have said with regard to an incident years ago does not mean that I can confirm that record again," DeBusk told the Free Press. "There’s no record. There’s nothing." The only information that could be located online was a booking photo from 2009. Cooter was arrested on DUI charges in 2006 after he was pulled over and registered a 0.19 on a breathalyzer test. Then, in 2009, he was arrested and charged with aggravated burglarly after a woman alleged that he "climbed through an apartment window, stripped down to his underwear and got into bed with her," according to the Associated Press. A spokesman for the Knox County Sheriff’s Office told the Free Press that she guessed the records had been expunged, but there is no record of their expungement. And Tennessee law allows only certain non-violent, non-DUI and non-sexual crimes to be expunged. According to the Free Press, when emailed for comment on the cases, Lions spokesman Bill Keenist responded that Cooter’s charges had been dropped. Cooter was a backup quarterback at Tennessee from 2003-06, then moved into a grad assistant role with the Vols for two years before working for the Colts from 2009-11.